Moscow court upholds detention of ex-head of Vostochny bank in Baring Vostok case | Russian Legal Information Agency (RAPSI). MOSCOW, February 26 (RAPSI) – The Moscow City Court has upheld the detention of ex- chairman of Vostochny bank board Alexey Kordichev charged in a 2.5-billion-ruble (about $40 million) embezzlement case, RAPSI correspondent reports from the courtroom on Tuesday. The court ruled Kordichev is to stay in detention until April 13, as it had been decided by the Moscow Basmanny District Court earlier. 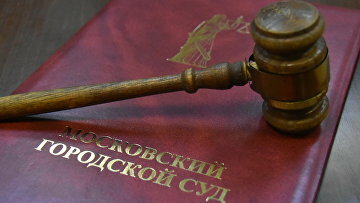 During the hearing a representative of the embezzlement victim, a shareholder in Vostochny bank, insisted Kordichev committed the alleged crime under the pressure of the Baring Vostok investment company. Earlier in the day the court has upheld the detention of yet another defendant in the Baring Vostok case, Vagan Abgaryan, a partner of the company. Both Kordichev and Abgaryan stay charged with especially serious fraud. 17:38 26/02/2019 The Moscow City Court has upheld the detention of ex- chairman of Vostochny bank board Alexey Kordichev charged in a 2.5-billion-ruble (about $40 million) embezzlement case.